WEIU-TV's News Watch continues winning awards and preparing graduates for success. Cliché or not, Brittany Borthwick – the source of that statement and an anchor of the WEIU-TV program she’s referencing – is hitting the proverbial nail on the head, and News Watch’s laundry list of accolades and successful graduates supports her sentiment nicely. As a matter of fact, WEIU’s in-house news program is about to collect yet another regional EMMY award from the Mid-America Chapter of the National Academy of Television Arts and Sciences (NATAS). Since 2009, News Watch has been a consistent recipient of NATAS student awards, and this year's winning entry is a Feb. 28 newscast produced by senior Margaret Langevin focusing much of its attention on an impending winter storm. Official recognition comes Sept. 27 at the organization’s 38th annual EMMY Gala ceremony in Kansas City, Mo. For News Director Kelly Runyon, this is what it’s all about. “Over the years, the News Watch team has won numerous awards for its work in broadcasting,” said Runyon, the consistent face in a WEIU newsroom otherwise in constant flux as students arrive, develop their skills, and move on to the professional world. Preparing students for life in a professional newsroom is a key task for Runyon. 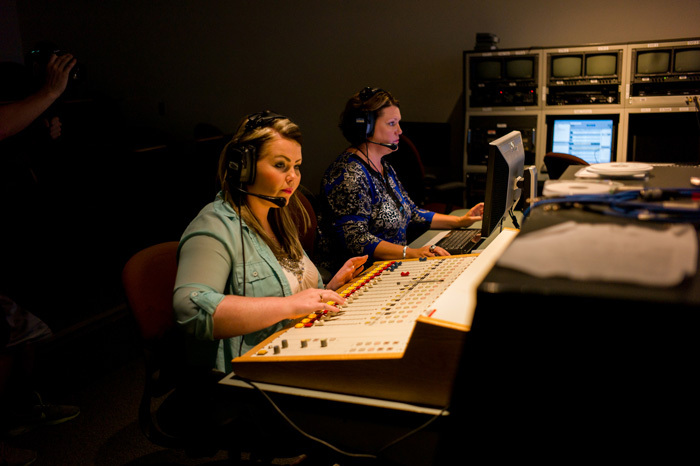 It’s accomplished by making sure student employees are familiar with every aspect of producing a television newscast, not just the role they envisioned themselves filling when they decided broadcast journalism interested them. “When you walk into News Watch, you want to be an anchor, you want to be a reporter, you want to be this and that,” said Borthwick, a senior journalism major who transferred to EIU after three years at UNLV. Every job, from the behind-the-scenes tasks to the on-camera work, are all interconnected; none of them matter if the others aren’t being done correctly as well. 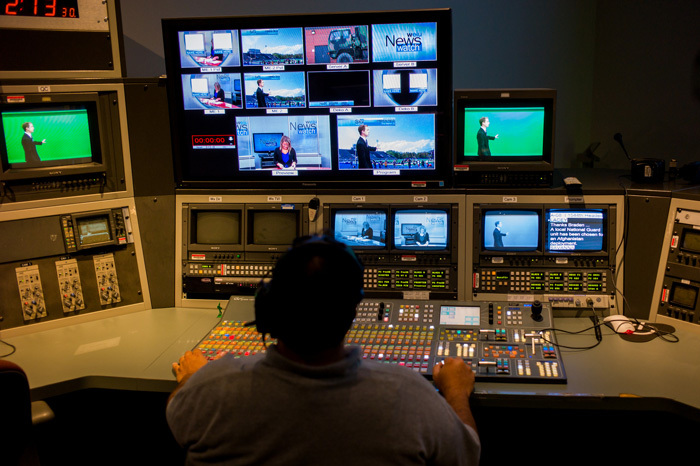 The idea is that by learning to do the less glamorous jobs before eventually migrating to on-air positions, News Watch students will develop an appropriate respect for each task’s importance to the overall product. “I believe the students who aspire to work in broadcast journalism learn by doing and that’s the concept behind News Watch,” added Runyon. “Students take the material they learn in the classroom about news production and apply it in practical form. Runyon also says News Watch isn’t limited to students in any particular degree program. Braden Harp, who regularly handles weather forecasts on News Watch and hopes to continue doing so at a commercial station once he graduates, remembers his experiences breaking in with News Watch. “I started here and talked to our news director Kelly Runyon. She said: ‘Yeah, you can be on air. But first you have to do every single production position.’ I started off on camera and I was scared to death, but I got more comfortable and started to do more positions. I’ve been a producer, I’ve run teleprompter, I’ve actually gone out and reported and had packages run on live television. Harp says that while Runyon is a great mentor, the value of working and learning from other News Watch students is not to be undervalued. “Some of the more experienced students will train some of the newer students, so that’s where a lot of the camaraderie comes from,” said Harp. “You’re teaching. You’re helping people learn how to do their job.